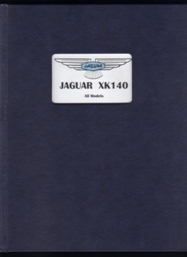 This is a reprint of the J15 XK140 parts manual which is rare enough. You also get parts manuals J18 and J19 the overdrive and automatic suppliments to the XK140. This is a hardbound 450 plus pages of valuable information.